Was craigslist used in the country’s largest art heist? There’s no doubt that craigslist has a crime problem. One industry observer even called craigslist a ‘cesspool of crime’. The crimes committed on craigslist are countless, but one you don’t normally hear about is art theft. We’re not talking about dogs playing poker either. Over 25 years ago, two men disguised as police stole over $500 million in artwork from the Isabella Stewart Gardner Museum in Boston. Two of those pieces were Rembrandt’s “Storm on the Sea of Galilee” (partially shown above), and Johannes Vermeer’s “The Concert”. “The Concert” is valued at $200 million. 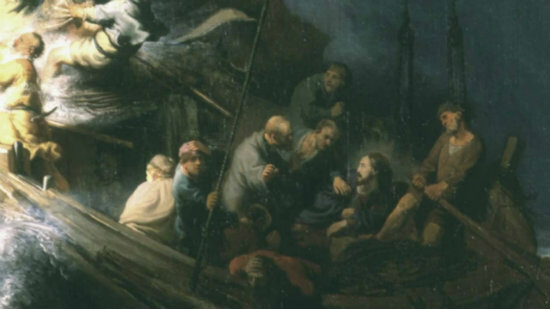 The FBI has been offering a $5 million reward for information leading to the recovery of the paintings. Recently, a man known only by the pseudonym of ‘Mordokwan’, allegedly took out craigslist ads all over the world claiming he had the aforementioned paintings and was selling them both for $55 million. So, was a crime so rare that it’s usually reserved for heist movies brokered through craigslist? Not exactly. As it turns out, it was a crime that craigslist is more known for, wire fraud. ‘Mordokwan’ turned out to be 47-year-old Todd Andrew Desper of Beckley, West Virginia. Authorities were able to track him down after he allegedly requested a $5 million cashier’s check be sent to a PO Box at a local UPS Store. Desper was said to not be in possession of any of the paintings advertised or any of the ones stolen and is not believed to be connected to the original heist. While Mr. Mordokwan may not be the smartest criminal to ever use craigslist, he’s far from the only one, and craigslist continues to not lift a finger when it comes to their users’ safety. ← Is a rogue state exerting undue influence on Bitcoin?